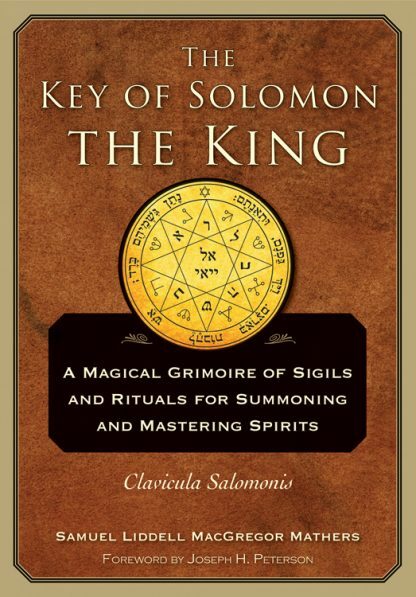 A magical grimoire of sigils and rituals for summoning and mastering spirits, The Key of Solomon the King is the most famous, or infamous, of all magick books. It has influenced everything from the revival of magick and the Western Mystery Traditions (tarot, alchemy, astrology, etc.) to fictional works such as Lovecraft�s The Necronomicon. Purported to have been penned by King Solomon himself, the book provides instruction for incantations, rituals, and sigils used to call upon and control spirits and demons. Those practicing magick have used it extensively through the centuries, but its true origins and purpose have been lost in the mists of time. No library of the contemporary occult student or practicing magician is complete without this tome. It remains a standard of esoteric lore by which others are measured. This edition includes a new foreword by noted esoteric scholar Joseph Peterson.